Somnambulant Gamer: What Happened to Ryse? Microsoft showcased a great deal of games yesterday at E3. Out of all of them, Ryse: Son of Rome seemed to get the most actual screen time. 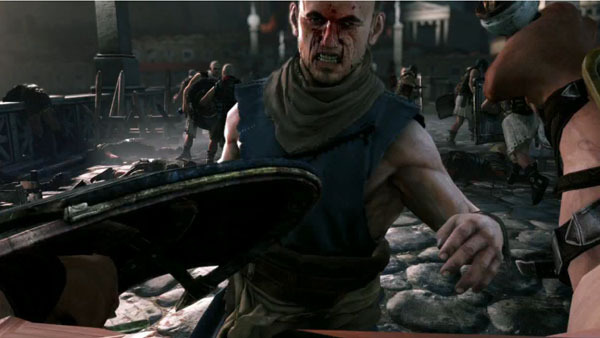 A third person action game set in ancient Rome, Ryse: Son of Rome has already been called the father of quicktime events. While the general concensus seems to be "meh" I will admit that I had a very strong reaction to the demo Microsoft showed. I was sorely disappointed. Back in 2011, when the Kinect was still new, Microsoft showed this trailer at E3. This was Ryse. A Kinect based game, Ryse put you in the role of a Roman soldier, fighting everything from fellow Romans to Visigoths. 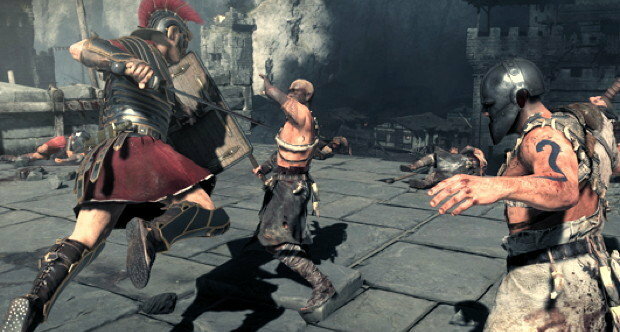 Using the Kinect, players would use Gladius and Scutum, Pilum, and even your bare hands in combat. From what I had learned from the limited press available, I learned a little more about the title. 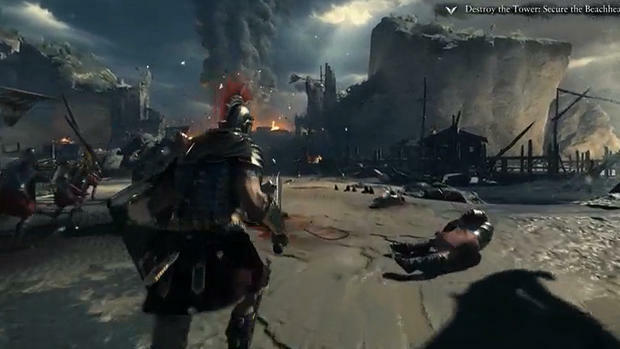 The developers stated that they had worked to create a game that used period accurate weapons and combat techniques to create a more realistic, immersive experience for the player. While the trailer exhibited a fair amount of pageantry (slashing with a Gladius, a weapon made for stabbing, not to mention throwing it) there were some fairly accurate bits I picked out of the trailer. First off, I should remind you, dear readers that I've spent a great deal of time researching martial history, especially that of the sword. It fascinates me, both from my perspective as a fencer and as an historical enthusiast. I'm not an expert, but I know a few things about Roman warfare. Thinking of the Kinect and my knowledge of Roman combat and tactics, I was excited to be able to see how they would translate into the game. Sadly, after yesterday, this is what we are left with. The order and genius of the Roman military reduced to a shoulder button command. Spinning and slashing ridiculously, hell, they don't even wear the sword on the right side. I don't yet know if this is Microsoft looking for a God of War to call their own, but it's painfully obvious that much of that touted eye for accuracy was left some time ago. The beach you see above is supposedly Dover (Though most would tell you that ancient Dover was called Dubris). That is most certainly not Dover in any way. The largest Roman structure built in Dover was an 80 foot lighthouse. The most fortified the area ever was under Roman rule was nothing more than earthworks. The imposing castle seen in the demo wasn't built until the 12th century. And it's still mentioned in this very recent interview with Gamespot that historical accuracy is an important aspect of the game for them. I'm afraid it's too late for Ryse. A shame too, considering that I had such high hopes for it so early on. If you're looking for an accurate depiction of Roman warfare, you're better off watching Pauly D fight.